Last night I had a dream that I was grocery shopping in the middle of the night with no clothes on. There were no lights on in the store except for the ones that came on only as I walked directly under them. 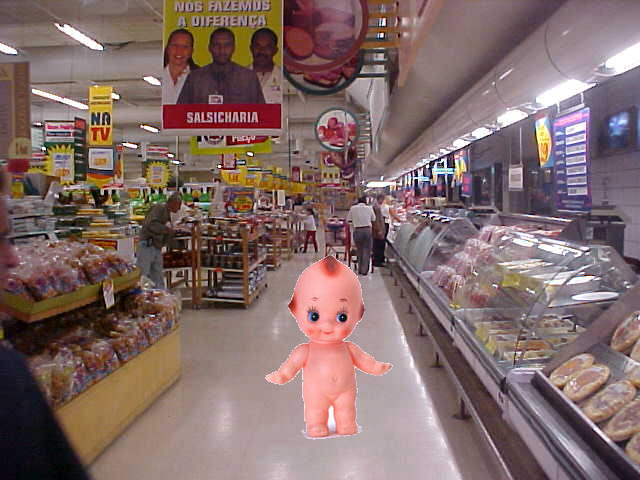 It was scary to walk in a dark grocery store but I continued on anyway. I carried a jug of vinegar and something else to hide my manparts. When I rounded the corner near the pharmacy, all of the lights came on and there were people doing their shopping and kids playing on the floor as if the lights had been on the entire time. Dude, check the Unionleader. It wasnt a dream. Some “tall skinny guy, hung like a horse who escaped on a bicycle.” was filmed on a security camera doing that earlier this week. Maybe you were sleep walking ?